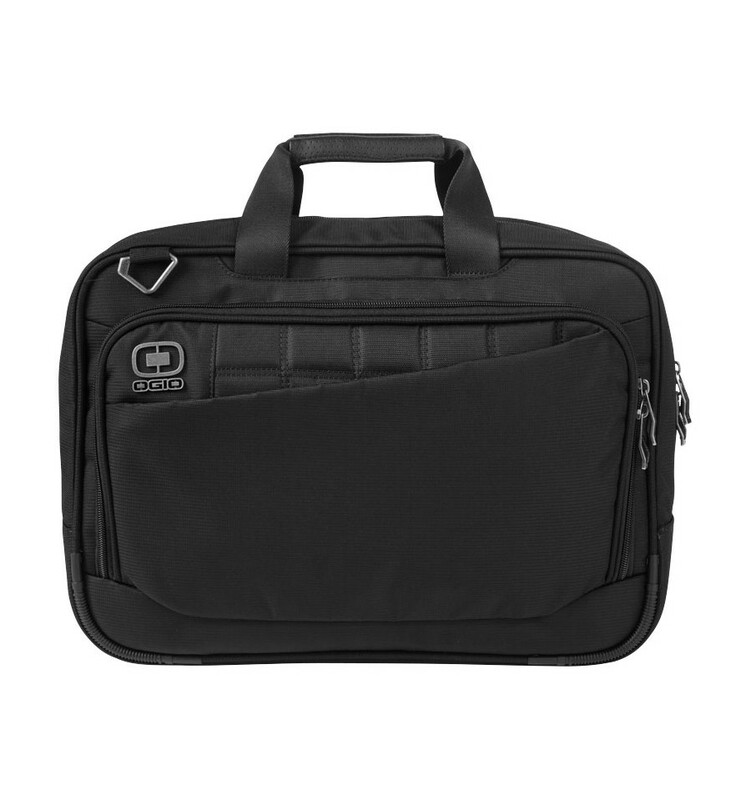 Element 17" laptop conference bag. 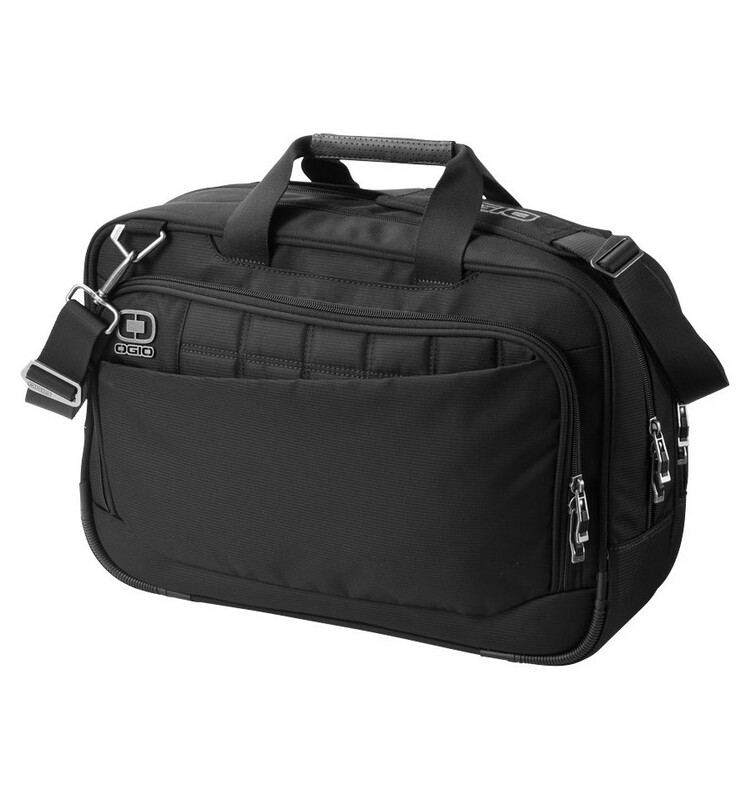 Exclusively designed bag unzips to expand for greater capacity with interior padded laptop compartment, padded tablet/e-reader sleeve, organizer panel, easy access front stash zipped pocket, rear compartment with file stash, attachment strap to fit over most luggage trolley handles and removable, adjustable and padded shoulder strap. 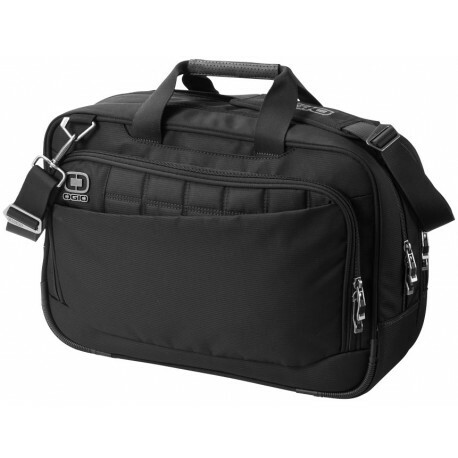 Dual reinforced padded carry handles. 840D polyester and 1200D polyester.